Delegations of 34 countries (out of 47) attended the Director-General’s consultation of Member States and National Commissions for UNESCO of the Africa region on the preparation of the Medium-Term Strategy for 20014-2021 (37 C/4) and the Programme and Budget for 2014-2017 (37 C/5). The official opening ceremony of the consultation chaired by the Prime Minister was held at the Palais des Congrès in the presence of political, administrative and traditional authoritiesand many Ivoirian students and pupils. The first speaker, Ms Kandia Camara, Minister of Education and Chairperson of the Côte d’Ivoire National Commission for UNESCO, began her address by highlighting the symbolic choice of Abidjan for the Director-General’s consultation of sub-Saharan African Member States, thus reflecting the fruit of the efforts of the Ivoirian authorities to restore peace and of the support of the international community. She paid tribute to the Director-General for the new impetus that she had given UNESCO, based on new humanism. She also paid tribute to Mr AlassaneOuattara, President of the Republic of Côte d’Ivoire, for fostering Côte d’Ivoire’s rapid return to the international scene after major structural and political crises. She stressed the relevance of UNESCO’s mandate, harbinger of peace, especially in Africa, and the need to build quality education systems to mould citizens, take up the challenge of development and support international trade. Furthermore, Ms Camara spotlighted action taken by Côte d’Ivoire to improve the quality of education, strengthen social cohesion and restore lasting peace. Lastly, she stressed the importance, after the crisis, of freedom of the press and called for the ratification of 2005 Convention on the Protection and Promotion of the Diversity of Cultural Expressions, crucial to human development. The Director-General of UNESCO, Ms Irina Bokova, thanked the Government of Côte d’Ivoire for its warm welcome. She also thanked Africa in its entirety for the support given to UNESCO in the financial crisis that it currently faces and for Africa’s contribution to the Emergency Fund, stating that such a token of trust honoured the Organization and obliged it to redouble its efforts for Africa. She stressed that there were numerous challenges to peace building, which raised questions for UNESCO in regard to the implementation of its mandate and led it to concentrate on priorities in which it had a comparative advantage, namely the culture of peace and sustainable development. She thanked President Ouattara for his participation in the Leaders Forum at the 36th session of the General Conference and his advocacy for peace, without which no development action was possible. Stressing that UNESCO was at the forefront of both reflection and implementation in key areas such as the oceans, girls’ and women’s education, culture and development, she said that the next two initiatives of the United Nations Secretary-General were in education and science, in which UNESCO was heavily involved. Stressing the importance of the National Commissions network with which she wished to strengthen cooperation, she informed participants of the record number of responses to the questionnaire sent to Member States on documents 37 C/4 and 37 C/5. She concluded by calling on multilateral organizations, including UNESCO, to support Africa – “young”, dynamic and rich in natural and human resources – stating that education, the sciences and culture were key to the continent’s future. The Prime Minister of Côte d’Ivoire, Mr Jeannot Kouadio-Ahoussou, representing the President of the Republic, welcomed similar approaches by other Africa States attending the meeting, which were required to solve the same problems in education, the sciences, culture and communication. He was gratified that his country had fully taken its place once more in the community of nations and said that the conference on the culture of peace held in Abidjan on 4 and 5 June 2012 signalled recognition of Côte d’Ivoire’s sustained efforts. Explaining that current education did not sufficiently prepare people for citizenship and peace, he called for better advantage to be taken of traditions, by adapting them to the twenty-first century for the promotion of tolerance, justice, democracy and human dignity. He also called on Africa to find its own mechanisms for resolving conflicts and for the safeguarding and maintenance of peace, and expressed the hope that African States would ensure their collective security. He said that the Economic Community of West African States (ECOWAS) was striving to pool its political, diplomatic, military and economic resources. Stating that the entire continent was committed to pursuing peace and hence it was not doomed to a culture of war. Lastly, he expressed his trust in UNESCO, which lived up to the hopes placed in it, despite the vicissitudes, and he was confident that conceptual and operational progress would be achieved in the future. Opening the first session of the consultations, Mr Augustine Omare-Okurut, Chairperson of the 2010 consultations with National Commissions in Africa for document 36 C/5, underlined the fact that current challenges for UNESCO and the Africa region should be seen as opportunities to define new solutions, to ensure sustainable use of resources in favour of education, sciences and culture as the only way to forge a better future in the region. The following representatives were elected as members of the Bureau: Chairperson: Mr Lou Mathieu Bamba (Côte d’Ivoire); Vice-Chairpersons: Mr Carlos Tamele Custodio (Mozambique), Mr Augustine Omare-Okurut (Uganda); Rapporteur: Prof. Elisabeth Kiondo (United Republic of Tanzania); Co-Rapporteurs: Dr Ronald Siame Kaulule (Zambia), Mr Ahmed Baba Soulama (Burkina-Faso). Mr Lou Mathieu Bamba, Chairperson, welcomed the participants and underlined that this meeting would also contribute to the consolidation of the peace process in the country. Recalling that Africa is the region with the highest number of recurrent conflicts and unrest, he urged participants to ensure that the values, the rich human and natural resources of the African countries would be put at the service of building democratic societies, based on a culture of peace and non-violence and on the respect of human rights. Mr Hans d’Orville, Assistant Director-General for Strategic Planning, representing the Director-General, underlined the new environment of the current consultations: the shift to a new planning cycle (8 years for the Medium-Term Strategy and 4 years for the programme part of the Programme and Budget while maintaining a two year cycle for the budgetary framework); the recommendations of the Independent External Evaluation; the decisions of the General Conference and the Executive Board on the preparations for documents 37 C/4 and 37 C/5. He pointed out to the fact that the Secretariat had designed a new type of questionnaire with both qualitative and quantitative dimensions, intended to allow a better identification of objectives, focused priorities and other programme issues. He also presented a written preliminary analysis of the responses to the two questionnaires in the languages of the consultation. He noted that to date 95 countries had responded to the questionnaires, among them 34 from Africa. He suggested that the consultation might focus on a few select topics of high importance as follows: focused programmatic priorities (global priorities; overarching objectives; intersectoriality); mission statement; areas for UNESCO’s leadership within and outside the UN system; partnerships; operational effectiveness of the Organization; role of the National Commissions for UNESCO; and engagement with NGOs. The representative of the Africa Department presented an overview of the ‘Priority Africa’ Programme since 1990 and its new impetus since 2009. He informed the participants that an evaluation of the Programme was being finalized and would be submitted to the 190th session of the Executive Board. He then made a presentation of main challenges faced by African countries, as emanating from a series of events organized by UNESCO. Some 20 projects for a total of over US $3.5 million had been identified within the framework of the Priority Africa Intersectoral Platform and extrabudgetary funds, two third of this amount would be sought. The Director of the Addis Ababa Liaison Office made a short presentation of the West Africa Forum on ‘Culture of Peace and Social Cohesion’, organized on the 4th and 5th June 2012 in Abidjan, just prior to the consultation. He recalled that, in the light of the instability that the region was facing, the Culture of Peace theme remained of high relevance for the West Africa sub-region in particular, and also for the Africa region as a whole. Specific ideas and recommendations formulated during the Forum included: establishment of a research programme to list traditional methods for conflict prevention; creation of a Regional Observatory of Media for a Culture of Peace; launching of programmes for youth inclusion through civic education as well as through skills development; promotion of the role of women as educators for peace; the establishment of a partnership for a culture of peace with a broad range of partners including African Union, Parliaments, public and private sectors, and other like minded organizations. During the ensuing debate, several participants questioned the impactand added value of the ‘Priority Africa’ Programme and of the Africa Department and highlighted the need for the Secretariat to share the results of the evaluation of the ‘Priority Africa’ Programme with National Commissions. One participant suggested that, in view of the current financial situation of the Organization, priority should be given to the identification of sub-regional flagship projects to be funded from regular programme resources. National projects should be funded essentially through self-benefiting funds. With regard to the global priorities, consensus was reached for the maintenance of the two global priorities, Africa and Gender equality. Youth is proposed as a third global priority. 2)	Building peaceful, inclusive and resilient societies. While underlining the need for increased intersectorality, participants pointed out that this should be reflected in the mode of planning and implementation of the programme when pursuing the two proposed overarching objectives. Establishing partnerships with UN agencies, international finance institutions, private sector, NGOs, and civil society was considered to be crucial in order to avoid duplication and enhance synergies in particular with the UN System, as well as to ensure a more efficient use of resources. Partnership with international finance institutions, private sector, NGOs and civil society should be done through joint programmes, technical assistance, and to expand outreach and promote visibility. 7) Reinforce South-South, North-South-South, and sub-regional cooperation between National Commissions.National Commissions should enhance cooperation with NGOs, Community Based Organizations (CBOs) and other partners through: signing of memoranda of understanding with national umbrella associations of NGOs; building synergies and stronger collaboration on project implementation and sharing of good practice; using existing capacities of NGOs at local level; greater involvement of and networking among NGOs and CBOs in UNESCO activities for a better impact on socio-economic development. 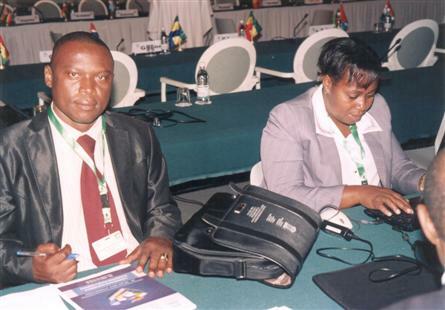 With regard to measures to improve the operational effectiveness ofthe Organization, participants agreed that the acceleration of the on-going UNESCO reforms in Africa together with the decentralization of adequate staff and the allocation of resources to multi-sectoral regional offices and national offices was of paramount importance. The provision of more information on the reform process and the mobilization of an adequate level of resources for all programmes, including through better coordination among UN agencies at the country level were also needed. 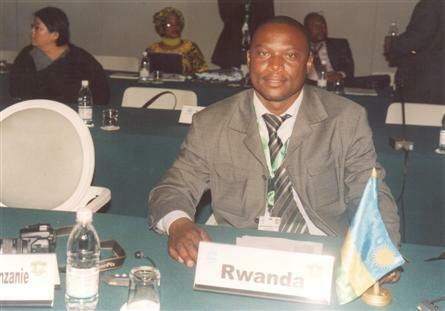 In general, participants emphasized the need for UNESCO to strengthen cooperation with the African Union (AU) and other inter-governmental regional and sub-regional organizations in order to harmonize UNESCO’s programmes with the various action plans elaborated in its domains of competence by these organizations. The AU’s Action Plans on Education in Africa; Science, Technology and Innovation for Development, and; the African Charter on Youth were specifically mentioned. The paramount importance of funding was raised as well as the need to assist African countries for mobilizing funds, especially for basic education. 2)	Sector-wide policy formulation and planning through the development of Education Management Information Systems (EMIS),as well as of quality data collection and dissemination. 2)	Continuous professional development, and balance between demand and supply, including for technical and vocational education and training. UNESCO’s global leadership, as well as its coordination and monitoring role in the achievement of the EFA goals were also highlighted. 6)	HIV and AIDS prevention education. 7)	Participants agreed on the need to further support higher education and to fill the gap between higher and professional education, to review curricula as well as to support researchers and ensure linkages between research and curricula. 8)	The need for training of volunteers involved in supporting youth education was equally mentioned. 9)	Implementation of the Consolidated Plan of Action for Science and Technology Development in Africa. 6)	Promotion of philosophy teaching and philosophical reflections. 7)	Development of cultural industries in Africa and; culture of peace. 4)	ICTs and its applications in UNESCO’s fields of competence.